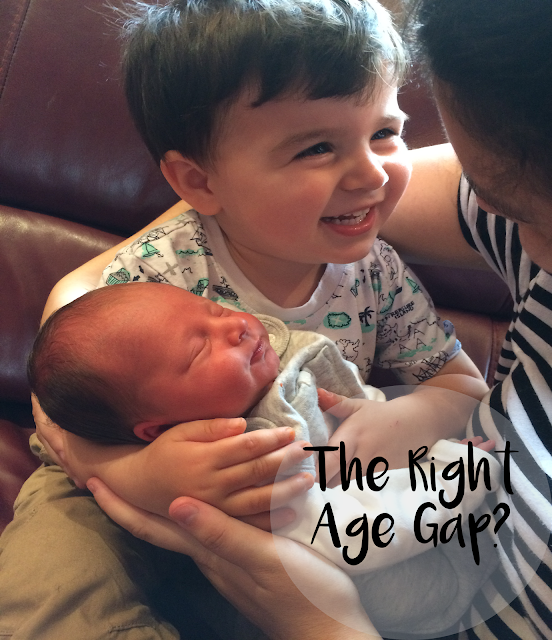 It's so hard when planning children to know what exactly the right age gap could be and in truth it completely depends on you and your family. Some people want children straight after each other so they can be really close in age, others want their first child to be at school when they have another but for us it was that Noah could understand. I didn't want to bring a new baby into our family and Noah feel confused, pushed out and not really sure how to handle everything. I guess we are quite lucky, Noah has always been a chatterbox, and so his speech and language is above and beyond the norm for his age, this meant we could talk to Noah about everything and he was able to tell us back. Throughout my pregnancy we spoke to Noah about the baby, even told him the name and included him in things such as listening to Ps heartbeat & a growth scan. Towards the last weeks we really pushed on the fact baby was coming and that we thought he'd have a present for Noah. Every night before bed Noah would say 'Maybe baby Paddy get me aaa.... digger, or maybe a bus' and the list would go on. That being said he was obviously delighted when he came to meet him to find he had indeed brought him some presents. Now we've had two children, peoples minds immediately question if we'll have a third and in truth, we don't know. But what we do know is not now, or the near future. There are so many things that would have to change with 3 children, including much bigger cars, earning more money and maybe even a bigger house. So for us, the right age gap would be nothing below 4 years this time. Ideally if, and it's a very, very big if, we have another, I'd like both of my boys to be at school. P was born due to my waters breaking at 30w and unfortunately, when it's happened once it's extremely likely to reoccur, if both boys were at school and I had another poorly baby, I could focus my mind a little more knowing they'd be safe at school during the day. There is just so many different aspects of life you have to consider when planning for a family. And who is to say that things will work just as you plan, people can struggle to conceive, health problems could occur, or circumstances just change. All in all I revert completely back to my first point, the right age gap is whatever is right for you.